Patch 1.06 just was launched, it appears to be one of the biggest update for NBA 2K17 on the PlayStation 4, thanks to the 7.4 Gb patch, it have been successfully dealed with many problems with game on the upgraded Sony console. Not just for the PlayStation 4 Pro, but also for Xbox One, a myriad of other in-game fixes are also included in the update, as referenced from NBA 2K’s official Facebook post regarding the announcement. Some of the outstanding changes in the bunch include an improved artificial intelligence which enables a CPU-controlled team going offensive and make certain plays. According to GameSpot, the main highlight of the PlayStation 4 Pro fix involves the serious gameplay issue whereby the pass icons go missing for those who are playing the game under 4K-resolution. Given that teamplay is at the core of the sport, having to pass around the ball is critical in the game as in the real-life sport. 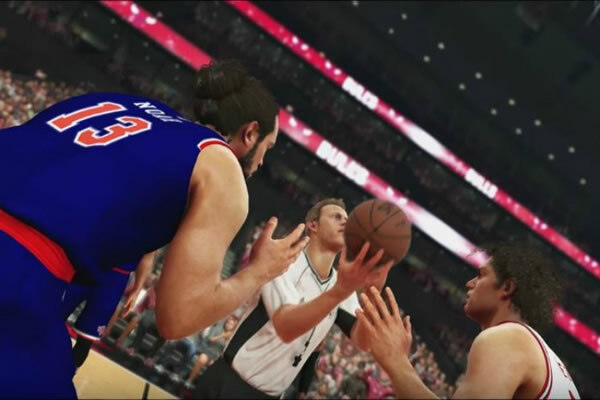 Another nagging problem that was fixed with the update is the issue that plagued PlayStation 4 users relating to the dribbling animation. Players who found their controlled character queuing up wrong dribbles instead of a follow-up drive or a double crossover will find delight that the issue has now been addressed. Both in-game bugs found for the PlayStation 4 Pro version are now fixed with update 1.06. Even if for the update, on PlayStation as well as Xbox One, both version is now available. But, notably, the later only gets a 2.6 GB update.